Offaly’s future generation of visual artists and photographers have been out in force preparing for Culture Night at Lough Boora Discovery Park. 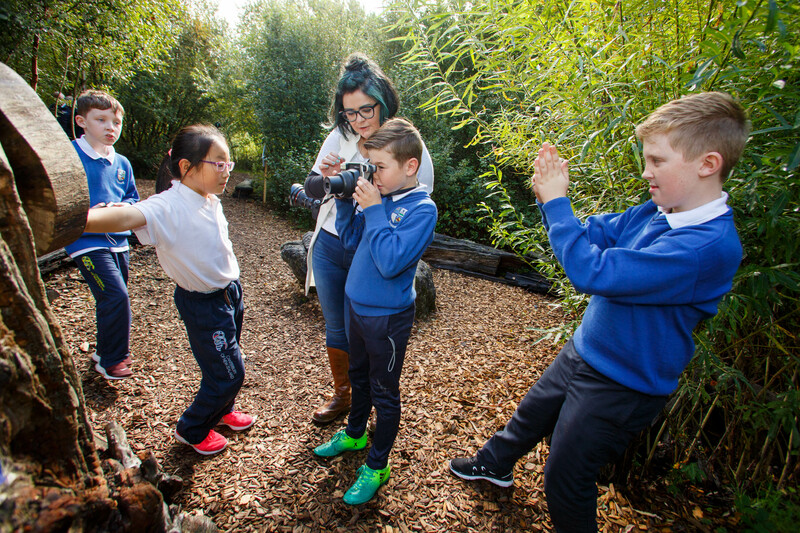 Children from three national schools took part in the ‘Eyes on Boora’ photography blitz at Bord na Móna’s parklands and wildlife haven. The budding photographers captured animals, plants, landscapes and some of the unique sculptures at the nature and beauty spot. The photos will be displayed at a Culture Night exhibition in Lough Boora on 22nd September. Lough Boora Parkland’s Manager Tom Egan said “The Eyes on Boora event is a terrific way to capture the beauty of Lough Boora through the eyes of its most devoted fans and admirers. Lough Boora is a unique place and children react to it with a very special enthusiasm and wonder. I am really looking forward to seeing their perspective on this place when the exhibition is launched here on September 22nd. Bord na Móna is delighted to host and support such a wonderful event’. The Eyes on Boora event seeks to explore Lough Boora through the eyes of the community’s children. Commissioned by Offaly County Council for Culture Night 2017 and facilitated by visual artist Aisling O’ Rourke Eyes on Boora sees children from Broughall, Coolanarney and Lumcloon National Schools, display photographic studies of Lough Boora Parklands. This exhibition is part of an overall documentary project on the Bord na Móna owned and managed parklands.